In 2010 whilst on a tour of Germany, I bought a couple of books with me to fill the long train journeys between Dusseldorf, Munich and Berlin. One in particular though caught my attention and I quickly found myself immersed and struggling to put down this captivating WW2 thriller. 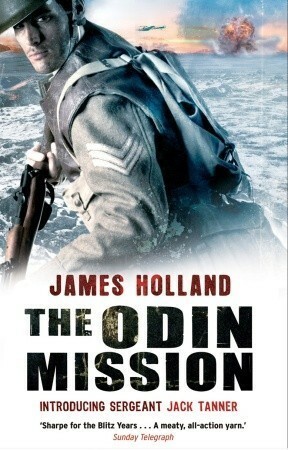 Ever since reading ‘The Odin Mission,’ I have been hooked on the fictional and non-fictional writings by renowned WW2 Historian James Holland. I am a big fan of his work, he is a terrific author and recently during 2014 I had the great pleasure of speaking to him on a range of subjects. When did your fascination with history and the Second World War first begin? Do you have any personal connections to the conflict, such as family members that fought in the war? No, not really. My maternal grandfather fought in the First World War and was gassed at Passchendaele, and then was an auxiliary fireman in London during the Blitz. My paternal grandfather was an auxiliary fireman in Birmingham. Having written numerous books and been involved in various documentaries on different aspects of the Second World War, such as the North Africa and Italian campaign, the Battle of Britain, Fortress Malta, D-Day and the Dam Busters to name but a few, you must have interviewed quite a few veterans during all of this, is there one that has maybe stuck with you more than others? There are three. One was a German veteran called Friedrich Büchner, who kept breaking down in tears. He later admitted he’d never once spoken about his war experiences before and I was struck by how awful it must have been to have such a momentous and traumatic event in one’s life but not be able to get any thanks or credit for the obvious suffering experienced and bravery he’d demonstrated. To bottle it up for all that time must have been hard. The second was Cornelia Paselli, an Italian lady who had survived the worse single civilian massacre in western Europe on Monte Sole south of Bologna. And the other was John Semken, a tank man with the Sherwood Rangers Yeomanry. 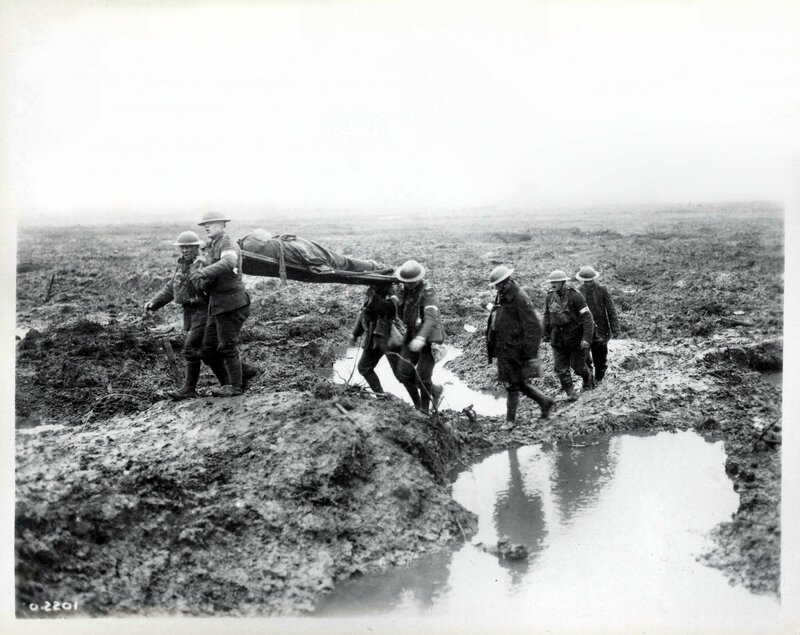 He was extraordinary – he’d fought through the whole war and seen truly awful things . The war had affected him terribly, and it was profoundly moving to hear him talk about it. Despite all the research and new books on the subject, do you think there are still some enduring myths that exist about the War? Most definitely, which is why I’m writing a new history of the Second World War in the West. Most people still think Britain was alone in the summer of 1940, that the Germans were tactically superior, better trained and had better equipment, or that D-Day was a predominantly American show. The list is a long one, but in most cases the reality was far more nuanced. Certain German units in 1940, for example, were very well trained, but others were not. By 1944, most of the German army was not at all well trained. They were determined to keep fighting but that isn’t the same thing. People tend to think it took the Allies a long time to win the war, but when you think that Britain and America had to effectively start from scratch in terms of their armies in the summer of 1940, it is no time at all. It’s take NATO forces fourteen years in Afghanistan and despite all the training and all the most modern equipment in the world, they still haven’t beaten a bunch of ill-trained irregulars armed with AK47s and RPGs. The Allied effort in the war was far more impressive than they are generally given credit. Is there a particular part of the war or a specific theatre of operations that captivates you more than others? Not really. I think it’s all utterly absorbing. James Heneage and you were the brainchild behind the creation of the Chalke Valley History Festival in 2011, but how and where did this idea first come about and what was the inspiration behind it? Originally, I thought of creating an arts festival to raise money for our local cricket club. James pointed out that there are a number of arts festivals but there wasn’t really a history festival. Since this was my field and he was starting to write historical fiction, he thought a history festival might be a good idea. I think he was right! This year’s event was a roaring success, with some fantastic displays and talks, but what would you say was your favourite moments of this year’s festival? 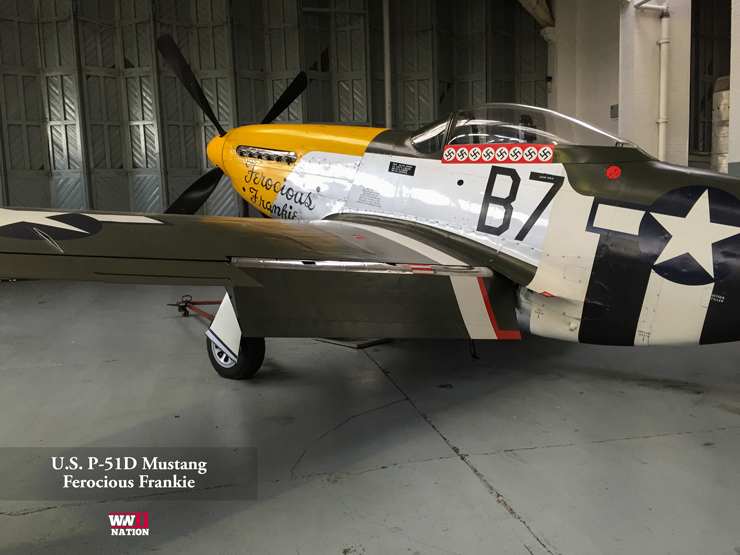 Standing outside the tent with Geoff Wellum watching the Mustang do its stuff. CVHF seems to be growing from strength to strength each year as more and more people travel to Wiltshire. What do you think is behind this success and what do you see happening for next year’s event, has anything already been suggested? History is one of our most popular pastimes and at Chalke Valley there is a lot of history to see and plenty of activities to do. The setting is stunning and there’s a real festival atmosphere. 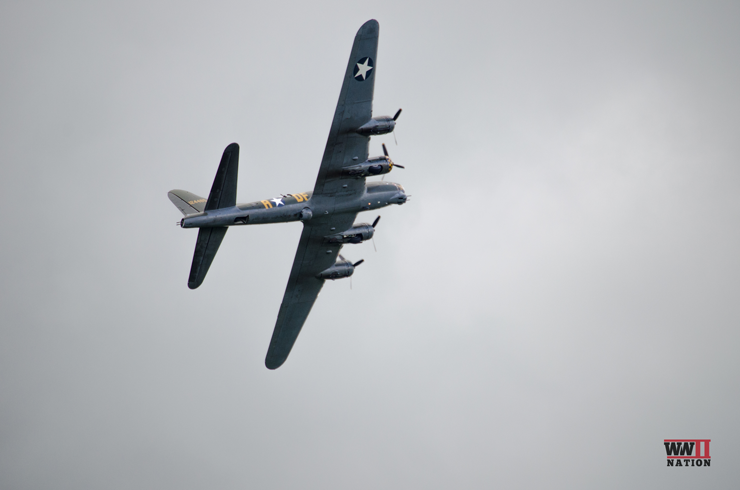 There’s nowhere else you can see beautiful historic aircraft fly with such a stunning backdrop, but also eminent historians, celebrities, re-enactors covering history through the ages, and get great food, drink and more. Next year will be more of the same, although hopefully even better. You asked a fascinating question at the end of the Damian Lewis talk on Band of Brothers about whether there could be a British version produced of this great series. Do you think this could happen? And if so would you be consulting or apart of this great venture? It could happen, but these things cost a lot of money and there’s a lot more of that in the US, who, understandably are more predisposed to American rather than British stories. I’ve been working on a film script about pilots in Malta in 1942. You never know – it might come off! With the level of research you have done on the Second World War, there must be quite a few characters that have stood out. Is there any one that you admire for the role he or she played in the War? There are lots, but I’m a huge admirer of Field Marshal Alexander, who I think is massively underrated. The other is a forgotten British general called Sir Francis Tuker. He fought the most perfect British battle of the war in the Medjerda Valley in Tunisia in April 1943. The planning and preparation was spot on, and its success so total, so complete, it disguised the fact that the enemy were very good German units who were simply blown away. But Tuker was a master tactician and a brilliant trainer of troops who was invariably right on most of the issues that confronted him. It’s amazing that he’s so unheard of today. You have written five novels following the exploits of Jack Tanner and the 2nd Battalion King’s Own Yorkshire Rangers during the Second World War, what was your inspiration behind this fictional series? No-one else had done it and I thought it would be fun. I also hoped I’d learn a lot, and I have. Is Tanner or any of the other characters based on real life people that you have researched or met? Not really. Tanner’s character is slightly based on a chap called Bill Laity, who used to live in my village. He was on destroyers, actually, but was also very uncompromising like Tanner, an amazing pugilist and had a similarly clear opinion of what was right or wrong. Like Tanner, he tended to knock people out if they annoyed him. What is the most exciting thing you have experienced or done, in the name of research for your books? Flying in a Spitfire! It was amazing. I had the best part of an hour in it and did fly it briefly too. I was amazed by how light the controls were. At the end, we beat up the airfield and then did a victory roll. It was without doubt, one of the greatest thrills of my life. I remember reading somewhere that Tiger Aspects, have bought the TV rights to the Tanner series, is it possible we could see our dashing hero lighting up the silver screen or our box sets anytime soon? So far, we have been to Norway, France, North Africa, Crete and Sicily, but where is next for Jack Tanner and the Yorkshire Rangers? I’m thinking the next one will open at Salerno and southern Italy, but then head to Normandy. Are there any words of wisdom you could offer to any budding authors out there? Recognize that writing is a craft as much as anything and one that needs to be learned. It’s great fun, though. I can’t recommend it more highly. A big thank you to James Holland for his participation in this interview. I hope you enjoyed it as much as I did. For those interested in learning more about James you can visit his excellent website: Griffon Merlin. Photo Credits: Spitfire Flying over Duxford, Spitfire flying at Dunsfold Wings & Wheels 2014, First World War.